The most exciting outing for friends and family! Especially for small groups up to 5 people we have the Friends & Family Flight. But the most important thing: share the fun! 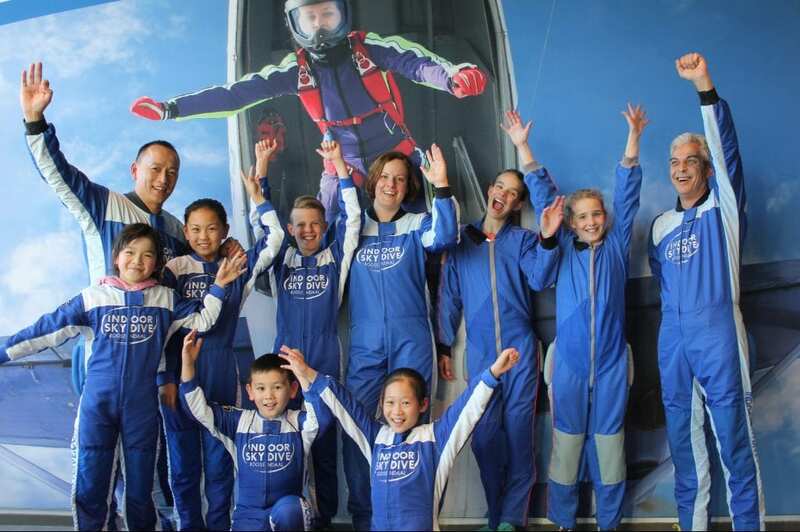 Share the unforgettable experience of indoor skydiving with your friends or family! The Friends & Family Flight has a special reduced price and the sessions can be shared. Are you with a large group? Check out our packages for large groups. The best thing to do with friends and / or family is an activity that combines action, conviviality and relaxation. Indoor skydiving is therefore the ultimate getaway! Everyone from young to old can experience the unique feeling of indoor skydiving. Under the guidance of our instructor, you will fly through our wind tunnel. An unforgettable experience for a lifetime! With Friends & Family Flight you will get 15 indoor skydive sessions. These sessions may be divided among the group. Would you like to fly a session extra? You can ask your friends kindly! Maybe you’ll fly a bit more by now! Experience the most unforgettable outing!